Garrison, New Jersey is a middle class suburb that is known as Cop Land. Under the direction of Lt. Ray Donlan (Harvey Keitel), several NYPD cops have made their home in Garrison, financing their homes with bribes that they received from mob boss Tony Torillo (Tony Sirico). The corrupt cops of Garrison, New Jersey live, work, and play together, secure in the knowledge that they can do whatever they want because Donlan has handpicked the sheriff. Sheriff Freddy Heflin (Sylvester Stallone) always dreamed of being a New York cop but, as the result of diving into icy waters to save a drowning girl, Freddy is now deaf in one ear. Even though he knows that they are all corrupt, Freddy still idolizes cops like Donlan, especially when Donlan dangles the possibility of pulling a few strings and getting Freddy an NYPD job in front of him. The overweight and quiet Freddy spends most of his time at the local bar, where he’s the subject of constant ribbing from the “real” cops. Among the cops, Freddy’s only real friend appears to be disgraced narcotics detective, Gary Figgis (Ray Liotta). After Donlan’s nephew, Murray Babitch (Michael Rapaport), kills two African-American teenagers and then fakes his own death to escape prosecution, Internal Affairs Lt. Moe Tilden (Robert De Niro) approaches Freddy and asks for his help in investigating the corrupt cops of Garrison. At first, Freddy refuses but he is soon forced to reconsider. After he became a star, the idea that Sylvester Stallone was a bad actor because so universally accepted that people forgot that, before he played Rocky and Rambo, Stallone was a busy and respectable character actor. Though his range may have been limited and Stallone went through a period where he seemed to always pick the worst scripts available, Stallone was never as terrible as the critics often claimed. In the 90s, when it became clear that both the Rocky and the Rambo films had temporarily run their course, Stallone attempted to reinvent his image. Demolition Man showed that Stallone could laugh at himself and Cop Land was meant to show that Stallone could act. For the most part, Stallone succeeded. Though there are a few scenes where the movie does seem to be trying too hard to remind us that Freddy is not a typical action hero, this is still one of Sylvester Stallone’s best performances. Stallone plays Freddy as a tired and beaten-down man who knows that he’s getting one final chance to prove himself. It helps that Stallone’s surrounded by some of the best tough guy actors of the 90s. Freddy’s awkwardness around the “real” cops is mirrored by how strange it initially is to see Stallone acting opposite actors like Harvey Keitel, Robert De Niro, and Ray Liotta. 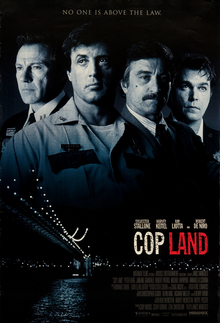 Cop Land becomes not only about Freddy proving himself as a cop but Stallone proving himself as an actor. The film itself is sometimes overstuffed. Along with the corruption investigation and the search for Murray Babitch, there’s also a subplot about Freddy’s unrequited love for Liz Randone (Annabella Sciorra) and her husband’s (Peter Berg) affair with Donlan’s wife (Cathy Moriarty). There’s enough plot here for a Scorsese epic and it’s more than Cop Land‘s 108-minute run time can handle. Cop Land is at its best when it concentrates on Freddy and his attempt to prove to himself that he’s something more than everyone else believes. The most effective scenes are the ones where Freddy quietly drinks at the local tavern, listening to Gary shoot his mouth off and stoically dealing with the taunts of the people that he’s supposed to police. By the time that Freddy finally stands up for himself, both you and he have had enough of everyone talking down to him. The film’s climax, in which a deafened Freddy battles the corrupt cops of Garrison, is an action classic. Though the story centers on Stallone, Cop Land has got a huge ensemble cast. While it’s hard to buy Janeane Garofalo as a rookie deputy, Ray Liotta and Robert Patrick almost steal the film as two very different cops. Interestingly, many members of the cast would go on to appear on The Sopranos. Along with Sirico, Sciorra, Patrick, and Garofalo, keep an eye out for Frank Vincent, Arthur Nascarella, Frank Pelligrino, John Ventimiglia, Garry Pastore, and Edie Falco in small roles. 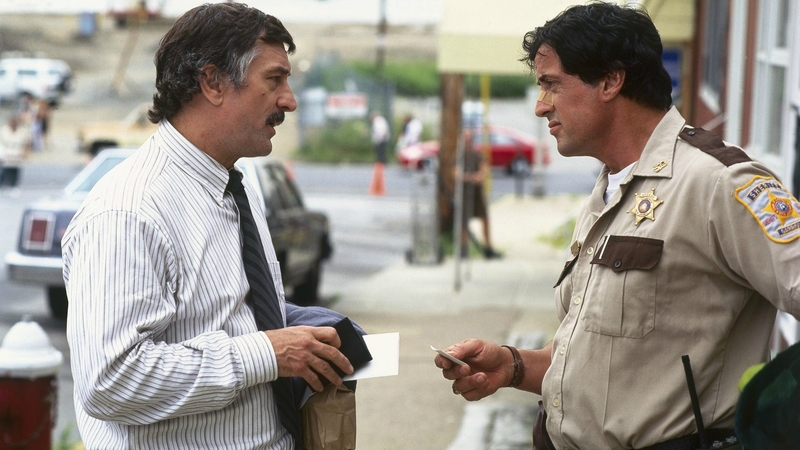 Cop Land was considered to be a box office disappointment when it was released and Stallone has said that the film’s failure convinced people that he was just an over-the-hill action star and that, for eight years after it was released, he couldn’t get anyone to take his phone calls. At the time, Cop Land‘s mixed critical and box office reception was due to the high expectations for both the film and Stallone’s performance. 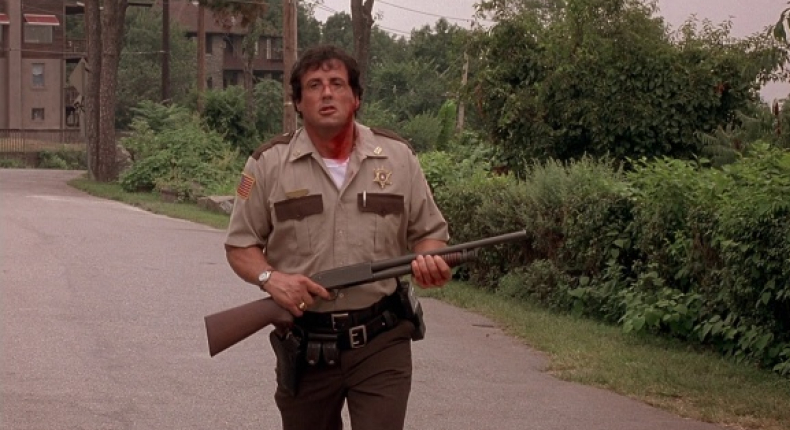 In hindsight, it’s clear that Cop Land was a flawed but worthy film and that Stallone’s performance remains one of his best. Vanessa Lutz (Reese Witherspoon) may not be able to read but she ain’t dumb. When her mother (Amanda Plummer) gets arrested for prostitution and her stepfather (Michael T. Weiss) goes to jail for meth possession, Vanessa knows that it’s time to leave South Los Angeles and go to her grandmother in Stockton. She puts on her red jacket, packs her possession in a picnic basket, and heads for the freeway. Vanessa is determined to get to grandmother’s house and she’s not going to let anyone stop her. Not the police. Not the gangbangers who murdered her boyfriend, Chopper (Bookeem Woodbine). And certainly not Bob Wolverton (Kiefer Sutherland), the psychiatrist who moonlights as the I-5 killer. An audaciously wild take on the story of Little Red Riding Hood, Freeway used to be a HBO mainstay, where it developed the cult following that it retains to this very day. The violence is graphic and the humor is often viscous but Reese Witherspoon has never been better than she was in the role of the loud and unapologetically profane Vanessa Lutz. Whether she’s cussing up a storm or shooting a pervert in the face or plotting her escape from jail, Vanessa is a whirlwind of nonstop energy and it is impossible not to get swept up with her. Witherspoon has since won an Oscar and appeared in all sorts of “prestige” pictures but she’s never had a better role than she did in Freeway. Witherspoon is such a force of a nature that she dominates the film but the rest of the cast is interesting as well, with several familiar faces in small roles. Sutherland has played so many psychos that it is not a surprise when Bob turns out to be one but he still throws himself into the role. (Like a cartoon character, it doesn’t matter how badly injured or disfigured Bob gets. He just keeps on going.) Dan Hedaya and Wolfgang Bodison play detectives. Alanna Urbach and Brittany Murphy play two inmates who Witherspoon meets in prison. Brooke Shields has a small role as Bob’s unsuspecting wife and is convincingly clueless. 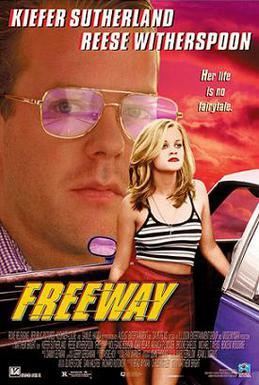 Ultimately, though, the movie belongs to Reese Witherspoon. Vanessa might not always be pleasant to be around but she’s so determined to make it to grandmother’s house but you can’t help but be on her side. She’s the Little Red Riding Hood that we all deserve. In 1975, an unheralded boxer named Chuck Wepner shocked the world when he managed to go nearly 15 rounds with Muhammad Ali. (He only fell short by 19 seconds.) The fight not only made Wepner a temporary celebrity but it also inspired a down-on-his-luck actor to write a script about an aging boxer who just wants to show that he can go the distance. The name of that script was Rocky and it made Sylvester Stallone a star. As for Chuck Wepner, he initially enjoyed being known as “the Real Rocky,” but he soon learned that fame is often fleeting. After Wepner retired from the ring (but not before one exhibition match against Andre the Giant), he attempted to reinvent himself as an actor but a combination of bad friends, bad decisions, and a bad cocaine habit conspired to derail his life and Wepner eventually ended up serving a 10-year prison sentence. While he was incarcerated, Wepner did get to see a film being shot on location in the prison. The name of the film was Lock-Up and the star was none other than Sylvester Stallone. With Chuck, Chuck Wepner finally gets the movie that he deserves. Wepner’s fight with Ali occurs early on in the film. The rest of Chuck deals with Wepner’s attempts to deal the aftermath of the biggest night of his life. Wepner may love his fame but secretly, he knows that it’s not going to last. While Stallone makes millions playing the role of Rocky Balboa, Chuck struggles to make ends meet. Even when given a chance to appear in Rocky II, Wepner falls victim to his insecurity and blows the audition. Seeking escape though drugs, the real Rocky ends up in prison, watching the other Rocky shoot his latest movie. Though the film suggests that Chuck finally found some peace with his third wife and a career as a liquor distributor, it’s still hard not to feel that Chuck Wepner deserved more. 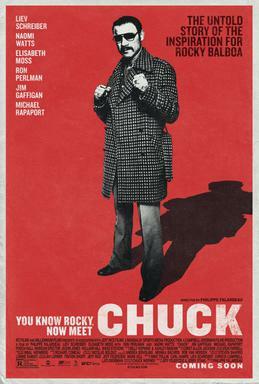 Featuring a great lead performance from Liev Schreiber and outstanding supporting work from Naomi Watts, Jim Gaffigan, Michael Rapaport, Ron Perlman, and Morgan Spector (who plays Sylvester Stallone as being well-meaning but often insensitive), Chuck is a heartfelt, warts-and-all portrait of Chuck Wepner. The film sets out to give Wepner the recognition that he deserves and it largely succeeds. Watch it as a double feature with ESPN’s The Real Rocky. Chicago in the 1920s. Booze may be illegal but that’s not keeping people from drinking and gangsters from making a killing. When an amateur boxer named Jack McGurn (Sean Faris) joins the mob, he befriend an up-and-coming criminal named Al Capone (Milo Gibson). While Capone rises through the ranks, McGurn is always by his side, usually firing a tommy gun. When Capone finally becomes the boss of Chicago, McGurn becomes his second-in-command and a leading strategist in the war against Capone’s rival, George “Bugs” Moran (Peter Facinelli). If you’re looking for a historically accurate film about 1920s Chicago, look elsewhere. Today, “Machine Gun” McGurn is best known for being the mastermind behind the St. Valentine’s Day Massacre (which, of course, is recreated in Gangster Land) but it’s doubtful that he was ever Capone’s second-in-command. Famed Capone associates like Frank Nitti, Gus Alex, and Murray Humphreys are nowhere to be found in Gangster Land, nor is Eliot Ness. Instead Jason Patric plays the righteous and fictional Detective Reed. What the film lacks in historical accuracy, it makes up for in gangster action. There’s enough tommy gun action, car chases, and showgirls to keep most gangster film aficionados happy. All of the usual Capone stuff is recreated: Johnny Torrio is assassinated, Dion O’Bannon is killed in his flower shop, and the St. Valentine’s Day Massacre scandalizes the nation. 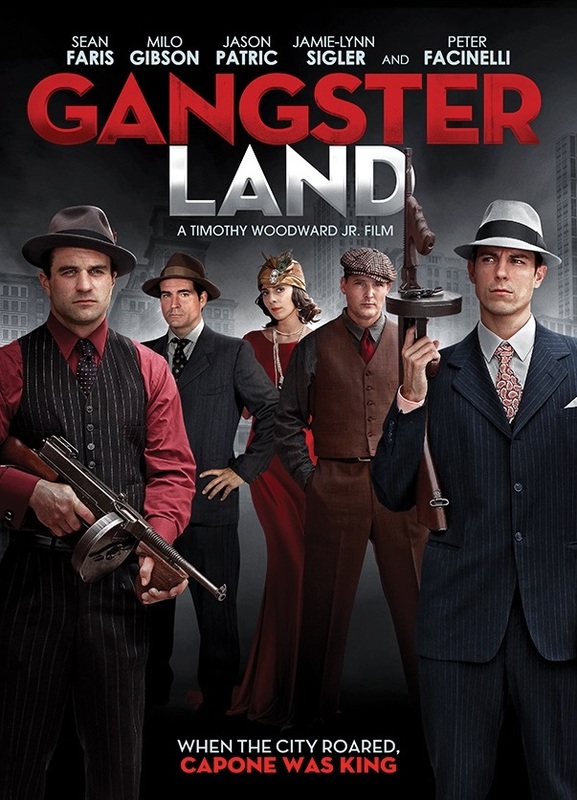 Though the film never displays anything more than a Wikipedia-level understanding of the prohibition era and there’s not a single gangster cliché that isn’t used, Gangster Land is briskly paced and makes good use of its low-budget. Sean Faris is stiff as McGurn but Milo Gibson (son of Mel) is better than you might expect as Al Capone and the underrated Jason Patric makes the most of his limited screen time. Fans of The Sopranos may want to watch for the chance to see Meadow herself, Jamie-Lynn Sigler, as McGurn’s showgirl wife. All of the covers below were done by Ken Barr, a Scottish artist who had a long and prolific career in the United States. Along with painting several paperback covers, Barr also did work for Marvel and DC comics and was well-known for his Doc Savage magazine covers. Born in 1933, Barr began his career in the 50s and worked until his retirement in 1987. Highly regarded for the wide variety of the work that he produced, Barr’s covers are still highly sought by collectors. It would be accurate for one to say that Arnold Schwarzenegger was king of the 80’s action flicks. He first burst onto the scene in the titular role in Conan the Barbarian then it’s follow-up sequel. Yet, it would be his role in James Cameron’s The Terminator in 1985 that would make him a household name. He began to crank out action films after action film every year to varying degrees of success and quality between 1984 and 1987. It would be in the summer of 1987 that he would add a third iconic action film role to stint as Conan the Barbarian and the relentless cybernetic killer, the Terminator. Maj. Dutch Schaefer in John McTiernan’s action scifi Predator cemented Arnold Schwarzenegger as the most bankable movie star of the 1980’s. The film itself has become a go-to classic whenever film fans of all stripes discuss what were some of the best films of the era. Yes, I do categorize Predator as one of the best to come out of the 1980’s. It does more than hold it’s own when stacked up against Oscar winners, festival darlings and indie cult-favorites. It’s a film that takes the premise that “man is the most dangerous game” to new levels by adding in a scifi element to the story. That scifi element being an extraterrestrial hunter who comes to Earth every so often to hunt. It’s chosen prey tends to be killers, fighters and soldiers at the top of their craft and usually during times of extreme conflict. The film, as written by the two brothers John and Jim Thomas, actually works like a slasher horror film in the beginning as Dutch and his team of elite commandos trek through the Central American jungle on a rescue mission. A mission that lands the team in finding the grisly remains of another American special forces team. Questions come up as to whether their CIA liaison (played by Carl Weathers of Rocky and Rocky II fame) knows more about the true nature of their supposed rescue mission than he’s willing to let on. It’s once the team, still being stalked through the jungle by an unseen predator, finally find the people they’re suppose to rescue that all hell breaks loose in more ways than one. The action is loud, messy and exquisitely choreographed and filmed. Unlike some of the action films of the last ten years, Predator succeeds with it’s action scenes for having a director who uses very long takes and little to no hand-held to keep the action geography easy to follow and the action choreography unencumbered by too many edits and cuts. Even once the team realizes that they were now being hunted and that whoever, or whatever is hunting them, the film still continues to stay on a creative track. When I mentioned that the film plays out like slasher film, it does in way in that the titular character behaves and moves like slasher killers. It seems to be everywhere and nowhere. The very victims it’s hunting only see it when it’s too late and death’s upon them. The film’s dialogue has been quoted by so many fans that memes have been created around them. Yet, this doesn’t mean that the film is hilarious. What it does have was that masculine, brother’s-in-arms banter and quips that’s become a sort of signature for screenwriter and director Shane Black who was hired to do some uncredited rewrites on the Thomas Brother’s original script. Black would also end up playing one of the commandos in the film. Outside of Arnold himself, Predator would be best-known for the effects work by the late and great Stan Winston, who would come in to help redesign the title character (with some help from his buddy James Cameron) and the rest as they would say was film history. It would be difficult to go anywhere around the world, show the Predator to some random person and they not know what it is. Predator was one of those films that people, at first, thought was just a mindless, popcorn flick. The type of cinema that was to be seen then forgotten for better fare. Yet, in the end, Predator ended up becoming not just a classic of its genre, but a perfect example of a film that transcends it’s genre roots to become just a great film, in general. What is Labor Day and why do humans celebrate it? Is it so unusual to work that human need a holiday to remind them to do it? Cats don’t need a special day to remind them to do their duty. A cat wakes up everyday knowing what needs to be doing and preparing to do it. A cat knows that importance of exploring its territory. A cat knows the importance of keeping a strict schedule. Also a cat knows that it can get away with sleeping on the job. In fact, sleep is a large part of the job! The flame-haired one thinks that Labor Day is a “left-wing, communist plot” but I don’t understand what any of those words mean so I just let her ramble on until it’s time to be fed. Today is Labor Day so sit back, do no work, and make it a great one! If you need something to do on this Labor Day, there are over 11,000 posts on this site, the earliest of which was published all the way back to 2009! Feel free to explore and let us know what you think.